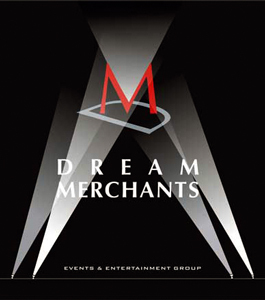 Dream Merchants, An Event Management Company, Headquartered at Bangalore, has pioneered promoting high profile events in India. The Company has grown from strength to strength with a platoria of Events. Dream Merchants was the first to capitalize the Need to Organise a Local Beauty Pageant, Miss Bangalore, which over the years has become the Main Fashion Event of Bangalore and has provided a Platform to Beautiful Women since 1994. With Qualitative focus on Fashion & Music Dream Merchants Launched Highly successful Events; Bangalore Fashion Week and World Music Week.. Putting on events entails executing complex logistics, innovative ideas, personalized services and cost effective production and execution. This has been the backbone of the Dream Merchants structure and hence long standing clients, relationships, time after time, year after year, use the services of Dream Merchants. A Dedicated and committed team of professionals within Dream Merchants ensures impeccable execution at every event.